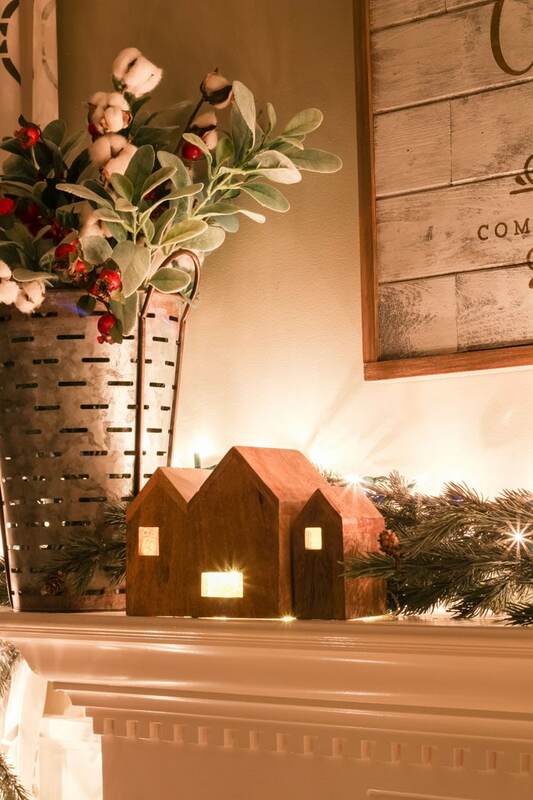 Who doesn’t love the glow of Christmas lights and a piping hot cup of hot cocoa? 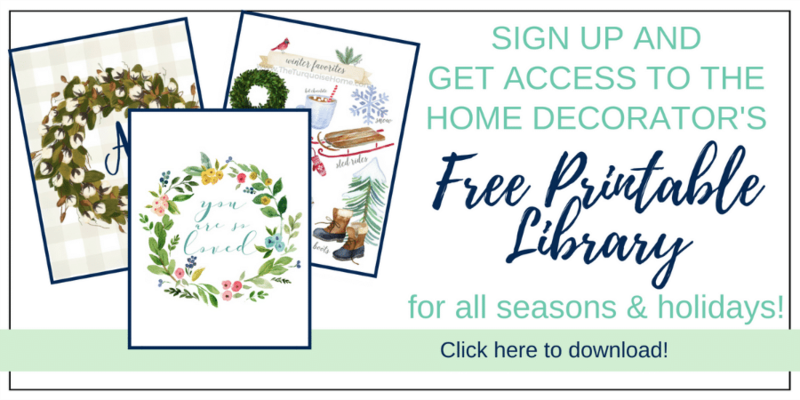 Join me for the Christmas Nights Home Tour with more than 25 of my closest friends as we share our homes all lit up for the holidays! Welcome to the annual Christmas Lights Home Tour hosted by my sweet friend Rachel at Maison de Pax. Thank you for coming over from Love Grows Wild. I just love everything Liz does, so I’m honored that you would stop by here after seeing her stunning home. 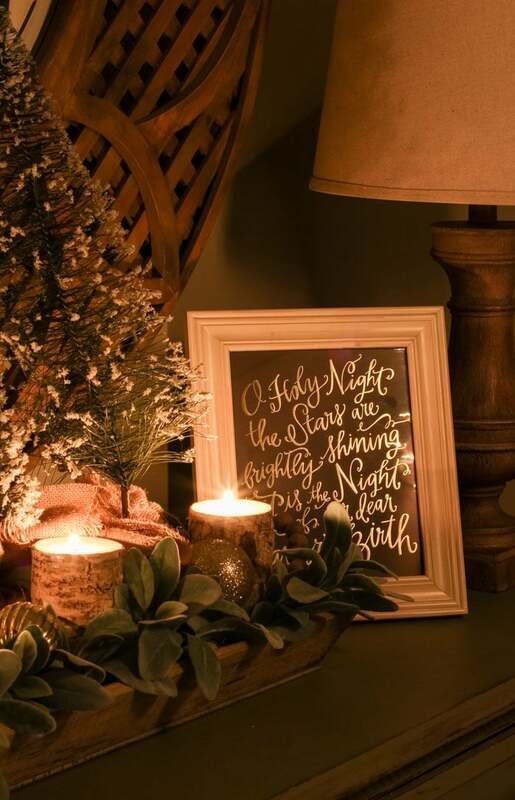 There is a ton of gorgeous Christmas night inspiration at the end of this post, so make sure you stay through to the very end! 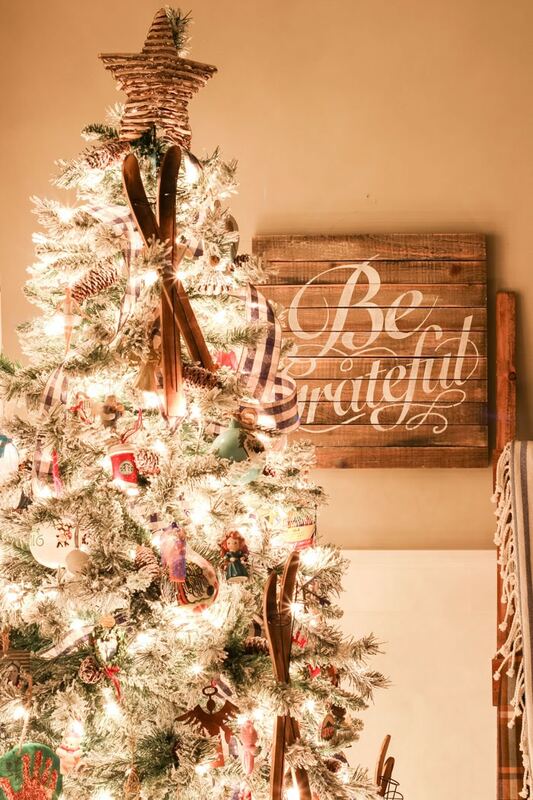 It’s the time of the season to put down the crazy, rush-around-doing-all-the-things and just enjoy this holiday season. I know that my to-do list is nearly finished and I’m ready to pick a spot on the couch, turn on Elf, and drink hot chocolate. I love these few days right before Christmas when things start to wind down and we settle in for the coming celebration of the newborn King. 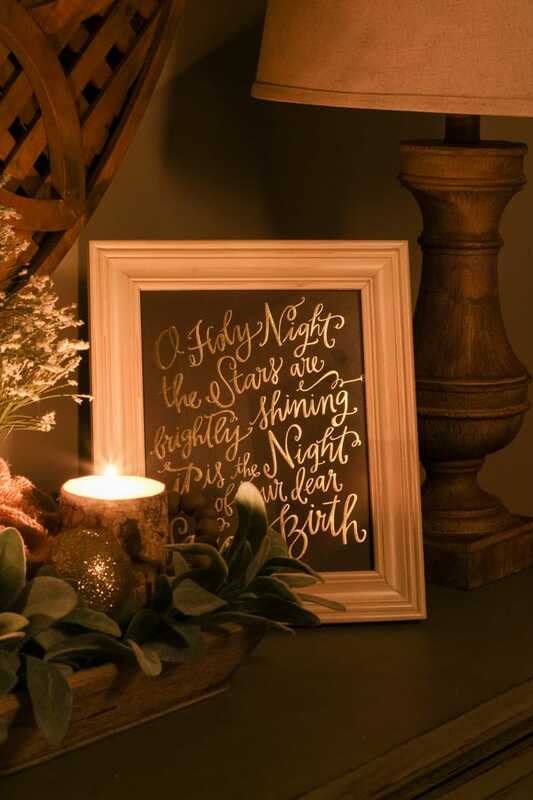 Peace on Earth is how I want my home to feel during this time and nothing says peaceful like the silent night and the glow of twinkle lights. 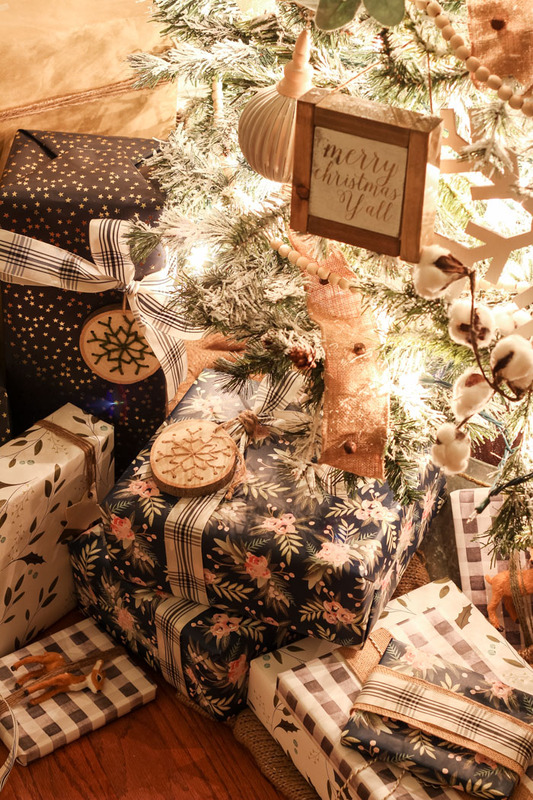 So, come join me as I sit by the tree and share some Christmas thoughts in the form of an interview. 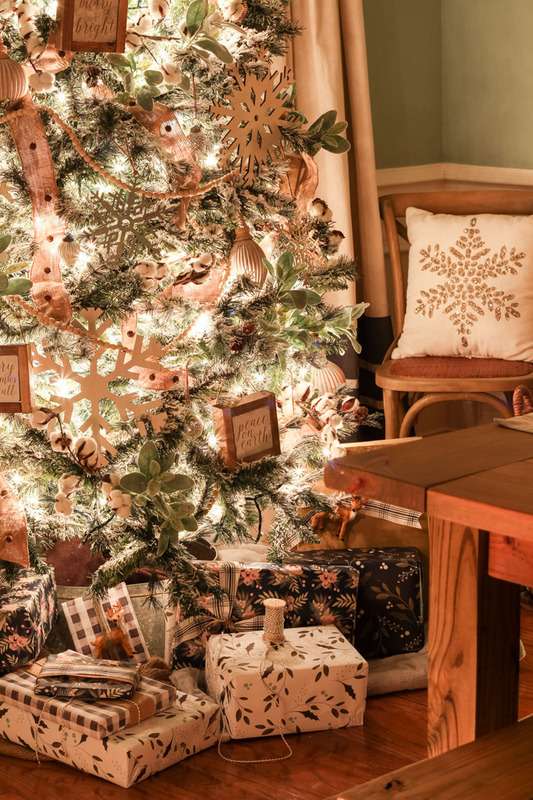 Grab a cup of cocoa or cider, pull up a chair and let’s chat all things Christmas. 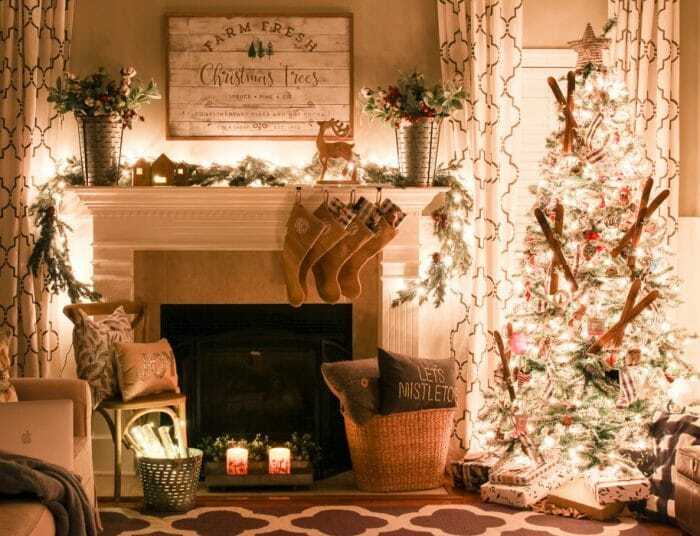 Q: Do you decorate differently every year? What was the theme and inspiration behind this year’s decor? I do try to mix things up each year, but use a ton of the old decor, too. Last year I did a deep purge of what I hadn’t used in a while and just got rid of it. 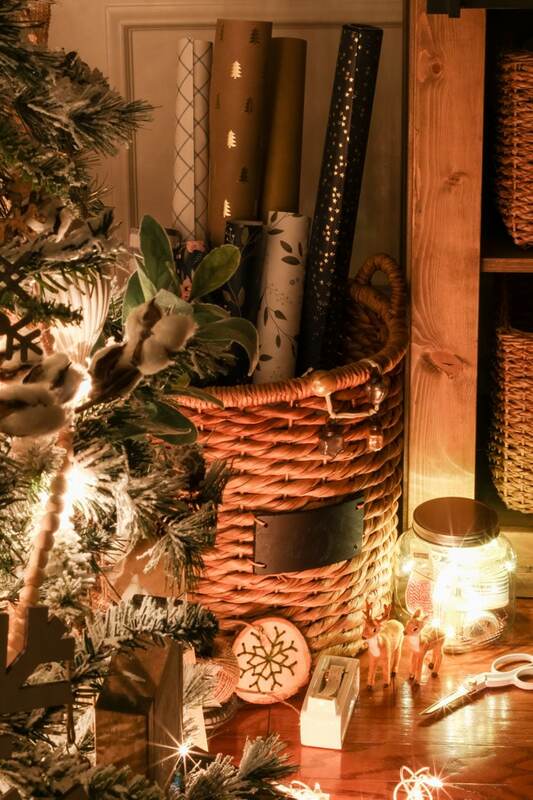 It was such a treat when I went to open my Christmas decor this year and it was only the things I truly loved. Then I went and totally changed my main tree this year and I had a whole bin of tree decor that didn’t get used. I’ll be cleaning out what I didn’t use this year again, so that I don’t have too much unused clutter in storage. And I love just donating it all to the local thrift store so that another family can use it next year! This year I really challenged myself to do more neutrals in my Christmas decor, because I’ve just fallen in love with neutral. For the first time in my life I didn’t decorate with orange this fall, and I try to keep the red to a minimum at Christmas anyway. So, the goal is lots of neutrals and lots of unexpected colors like navy and pink! 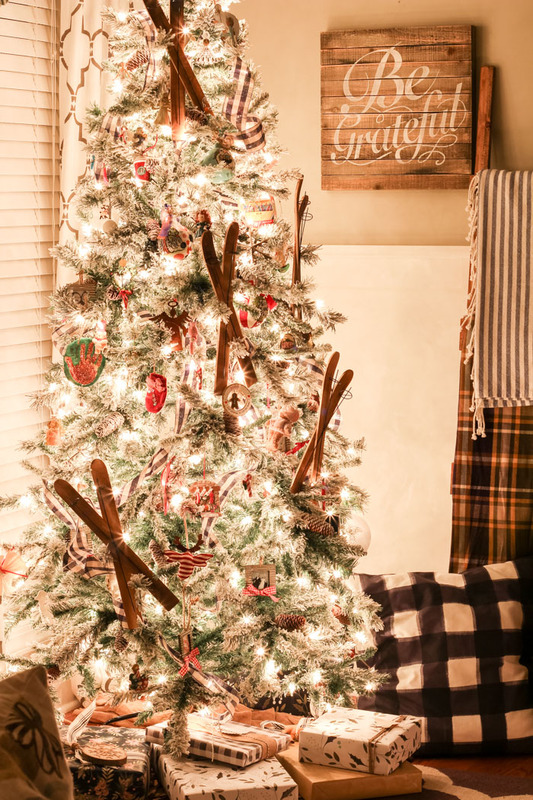 I got the inspiration for my Flocked Farmhouse Christmas tree this year from Erin at Cotton Stem. 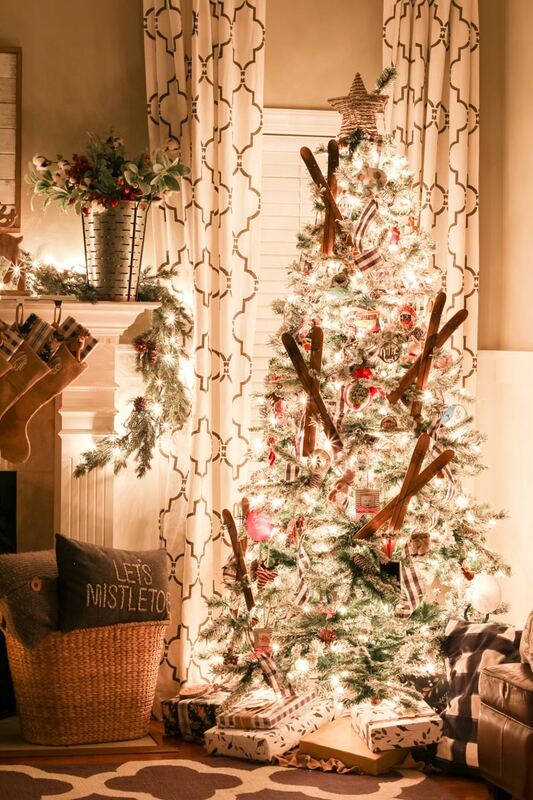 Her tree last year had the cotton stems and lamb’s ear stems and I just loved the look! 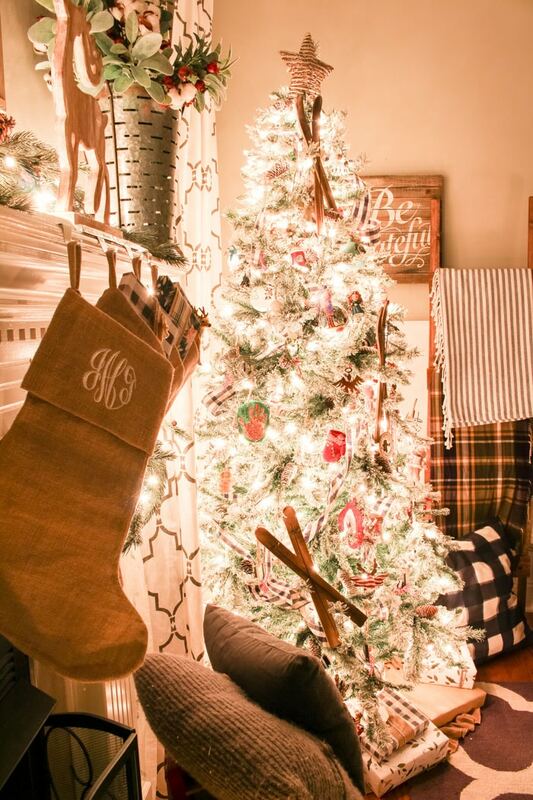 Q: Where do you save and where do your splurge on holiday decor? Do you like to include any DIY’s? 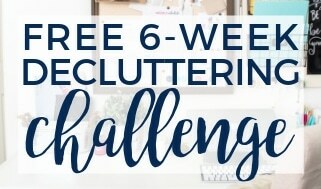 I try to save money whenever I can, so if I can make something for way less the than I can buy it, then I’ll be tackling the DIY project for sure. I especially like to save money on large art that I make myself, because it can be so pricy. One example of that is the DIY large wooden art I have on my mantel right now. 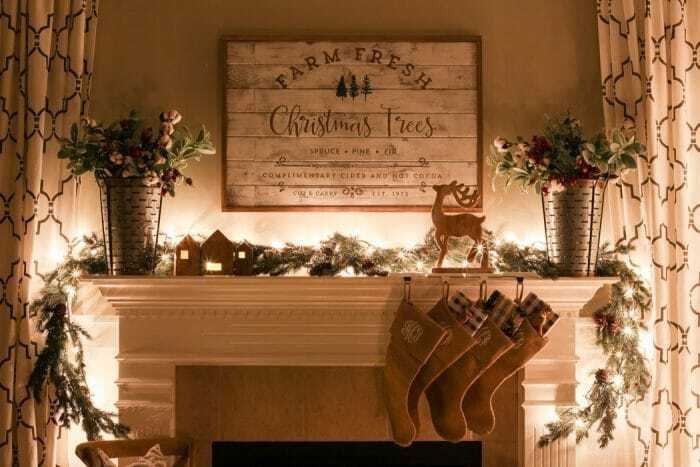 See my Christmas Farm Fresh Christmas Trees mantel right here! Q: What’s your favorite holiday recipe? While I love hot chocolate and apple cider, I love nothing more than a pan of fresh, homemade cinnamon rolls straight out of the oven. We eat these every Christmas morning, which has been a traditional for decades because the recipe is from my great grandmother. Find the cinnamon roll recipe here! Q: Do you have any favorite holiday traditions. I’m sure I have more than I realize and they just seem normal to me, but some of my favorites are: going to church for the Christmas Eve service, giving the girls Christmas pj’s on Christmas Eve, eating cinnamon rolls and sausage balls on Christmas morning and making Christmas cookies with my mom during the week before Christmas. We love to watch Christmas movies all during December, too. So movies nights at home with the girls is a family favorite activity. Q: Speaking of movies, what is your favorite holiday movie? I love “Elf.” It’s been my favorite for a long time and it doesn’t feel like Christmas unless I watch it. After that I’ll watch “The Family Stone“, which I think I love because I come from a large family and I totally get all of the funny big family dynamics. “Four Christmases” is so funny and definitely one we watch every year. And “The Holiday” is one I like to watch by myself while wrapping gifts after everyone goes to bed. 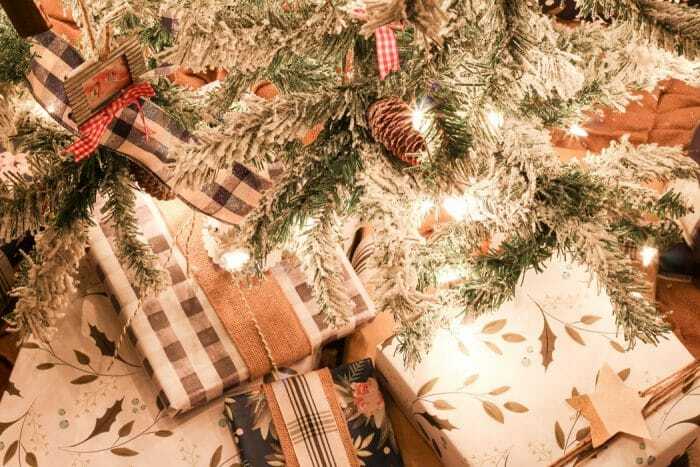 What are the top things on your Christmas list? My goodness, what I wouldn’t give for a Roomba remote vacuum. LOL I literally have to sweep my floors twice a day to keep them clean with my 2-year-old. Not having to sweep my floors all the time would be awesome!! I really want these Sam Edelman riding boots. I’ve heard wonderful things about them and wear a lot of leggings and boots this time of year. I need a good quality pair of boots. Thank you for visiting my home at night and indulging me in my Christmas chat. 😉 I’d love to hear your answer to the questions if you want to share! May this time at Christmas be a joyful time for you full of holiday traditions and people you love. And if it’s not the most wonderful time this year, may you find peace and comfort in the True Reason for the season. Enjoy these holiday homes all lit up for the season and be sure to visit Rachel at Maison de Pax as the next stop on the tour! How have I never heard of the movie The Holiday?! Can hardly wait to look that up! Love your paper and will be checking out the wrapping station soon but first I have to get thru all of this other goodness/tours! Love yours and could literally hang in there all day and never get anything done. Merry Christmas! The Holiday is such a fun movie with Cameron Diaz and Jude Law. I love it!! Lovely home! My favorite Christmas movie and it’s always watched Christmas eve is an oldie but goodie. We’re No angels with Humphrey Bogart . If you watch it let me know how you like it! Merry Christmas to you and yours! Love that movie, too! Especially the snake in the basket! I’ll have to watch it, because I’ve actually never heard of it. I’ll search for it and see. Can’t wait! Thank you for sharing!! 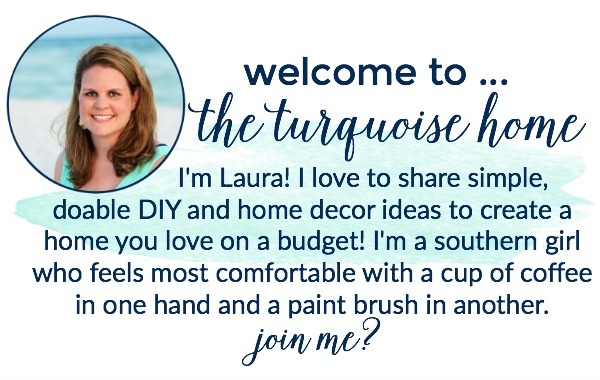 Laura, what a beautiful home lit by twinkling lights! Thanks so much for joining the tour and Merry Christmas! Thank you so much, friend! I hope y’all had a wonderful Christmas and New Year! I’m just trying to try to get caught up from all the time off. I’m pretty sure it’s a lost cause, but by golly I’m gonna try! LOL Thank you for putting it together!